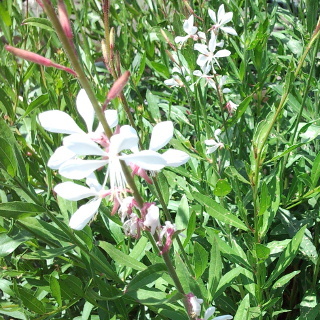 Gaura blooms butterfly-shaped flower. The buds are slendar pink. The colors are white and pink. 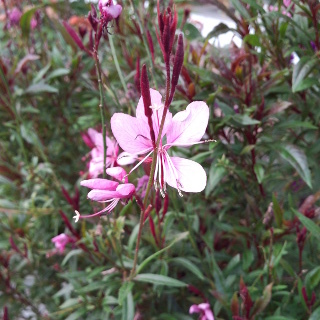 It blooms in ealy Summer to Autumn.